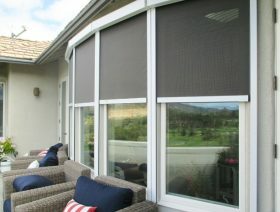 European Rolling Shutters (ERS) has been the San Francisco Bay Area Exterior Shading expert since 1983. 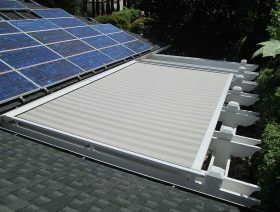 They are located in South San Jose with a manufacturing facility and showroom. For nearly 30 years they have specialized in protecting homes and families from the devastating impacts of the sun and weather. Their motto, “Protect your home and protect your family”, resonates through their logo and branding with the ERS shield. The company was founded by Helmut Blum, a pioneer in the industry and a true craftsman. Helmut was an immigrant from Germany and a mechanical engineer who came to the U. S. to pursue the American dream. He realized his dream having built a company that services only the most discriminating property owners, and produces products of the utmost quality. 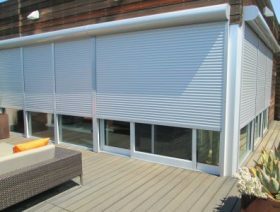 He saw a need for the roll shutters in the U.S. after having lived with them in Germany all of his life. 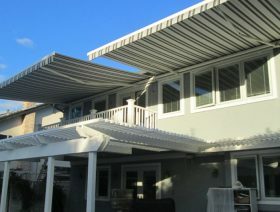 He later added the retractable awnings as well as the retractable solar screens. His wife Renate was the heart and soul of the operation. Today their daughter Linda, CEO, Paul Connor, VP, and their dedicated staff of professionals will honor their memory. 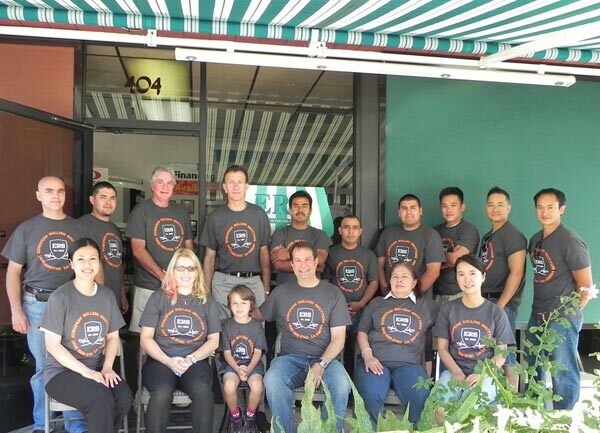 ERS has the unique ability to work with homeowners and business owners from nearly every community of the greater San Francisco/San Jose Bay Area. What makes ERS unique in the market is that everything they do is custom. They have excellent sales professionals that go to your house and take exact measurement to see which products might be suitable for your situation. What sets ERS apart from other companies in their industry is that all materials are imported from Europe and custom fabricated to fit the client’s needs. Serving from Southern Marin Country to Monterey County, they are the only company in California that custom design, fabricate and install all their products from start to finish. 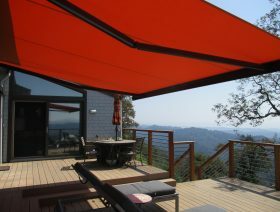 It’s no surprise that ERS is the San Francisco Bay Area Exterior Shading expert since 1983. Click here to see some beautiful installations pictures and to get an idea how Exterior Retractable Shading might look in your home.